It couldn’t be any easier to fold up the net. All you do is pull out the pins at each corner, pull apart the center piece, fold down the top part and that’s it! To unfold the net, just do the opposite. 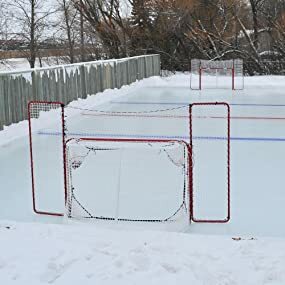 The EZ Goal is a top-quality hockey goal that meets and exceeds the quality of netting and posts of other more expensive hockey nets and can be folded up for easy storage and transportation, only 4 inch at its highest point. Other brands have to be disassembled for storage. 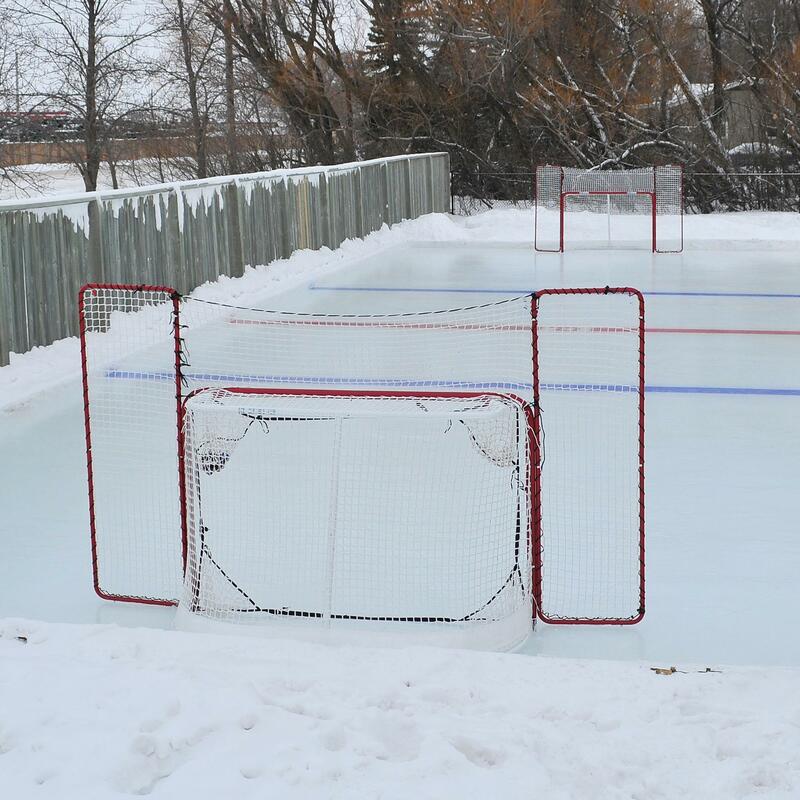 The netting withstands wrist shots and slap shots up to 75mph where other nets fail. Frame can withstand shots up to 75mph with only minor scuffing.